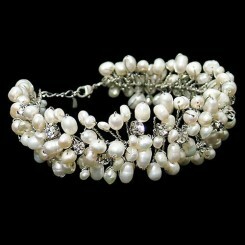 Create a timeless elegant look with the Amy Crystal and Pearl Bridal Bracelet. 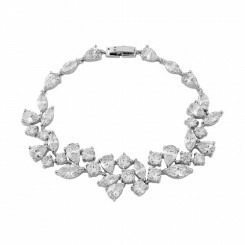 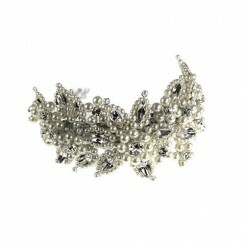 Amy is crafted from stylised metal leaves, encrusted with tiny glittering crystal diamantes. 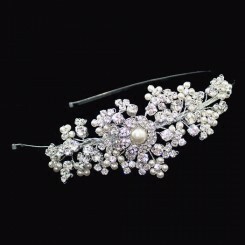 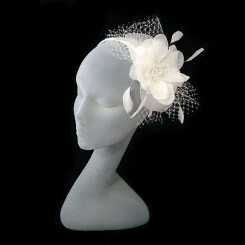 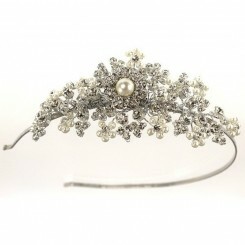 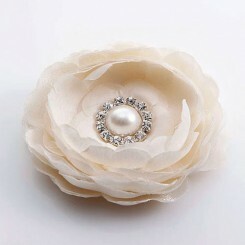 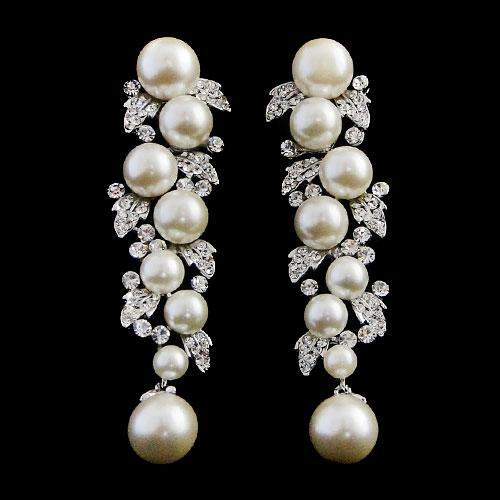 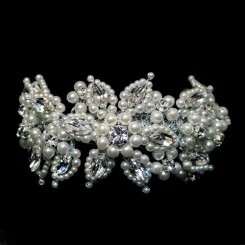 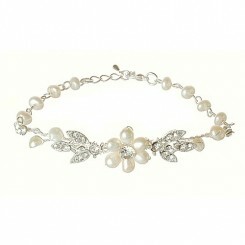 Rich ivory pearls are added to the crystal design to complete the piece and giving a beautiful, slightly vintage look. 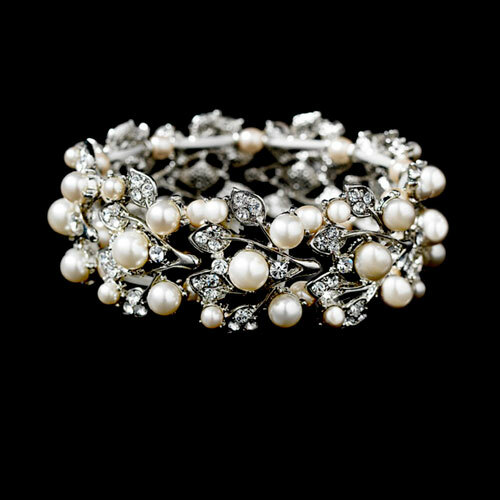 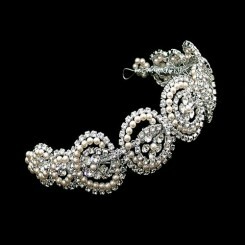 The Amy Crystal and Pearl Bridal Bracelet is fabulous worn as a standalone piece or accessorised with your chosen wedding hair accessory. 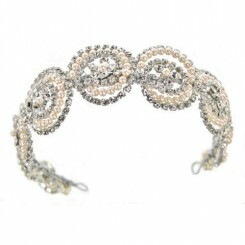 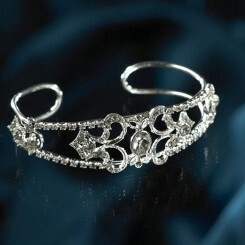 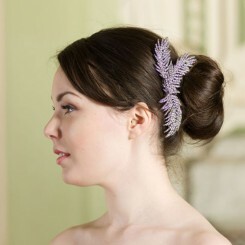 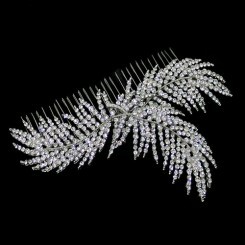 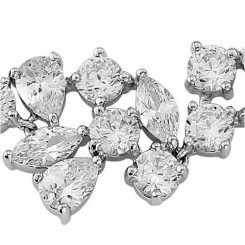 Perfect when worn alone as a statement piece or to complement your hair jewellery. 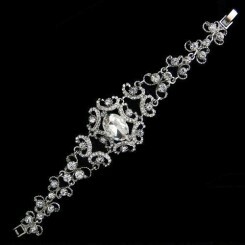 The addition of stretch to this bracelet makes it an infinitely wearable piece while it’s classic , understated design means you will want to wear it long after the wedding day is just a blissful memory!. 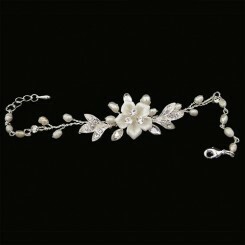 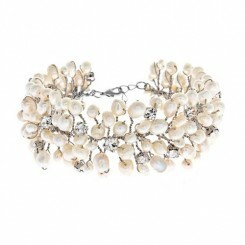 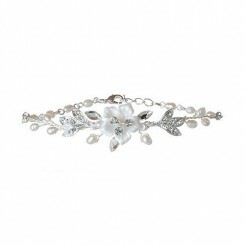 Amy Crystal and Pearl Bracelet measures approximately 3cm at its widest point and is only available in silver/ivory.